You are probably wondering where all of the fall decor posts are right? Well, you see… I decided not to get too swept up in creating a bunch of new things for fall. I’m sorta ok with the fall decor that I already have and want to focus instead on what I really love about this time of year. Spending time with my favorite people. More importantly, spending time with them and eating yummy cheese. 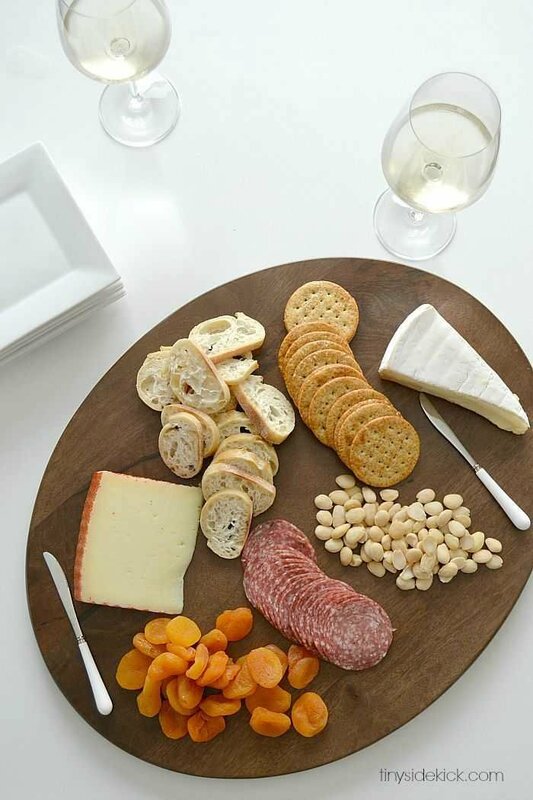 It turns out that there is an art to creating an unforgettable cheese platter and I’m going to break it down into 3 really easy steps so you too will have a reason to invite your faves over. Don’t even bother cleaning. 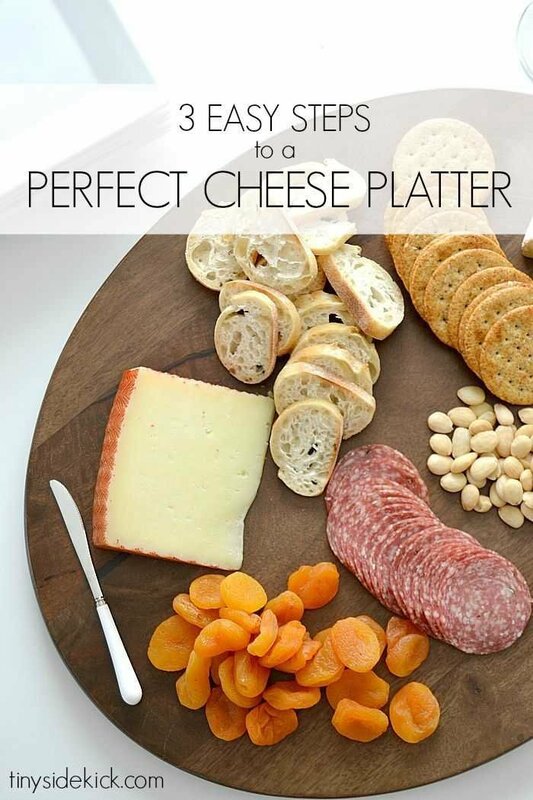 Your cheese platter will be so good, they won’t even notice. Clearly if you are going to have an amazing cheese platter you will need to select some yummy cheeses. But there are some definite tips to follow. You will want to include cheeses with a variety textures and flavors. Cheeses fall into different categories based on how hard or soft they are. You will want to include at least one hard and one soft cheese. Vary the flavors of the cheese. Include some mild and some sharp. Have at least one familiar cheese for the unadventurous. Follow the same rule with the breads by offering a variety of textures. For example crackers (crunchy) and sliced baguette (soft.) This will give your guests lots of options for creating their perfect pairing. 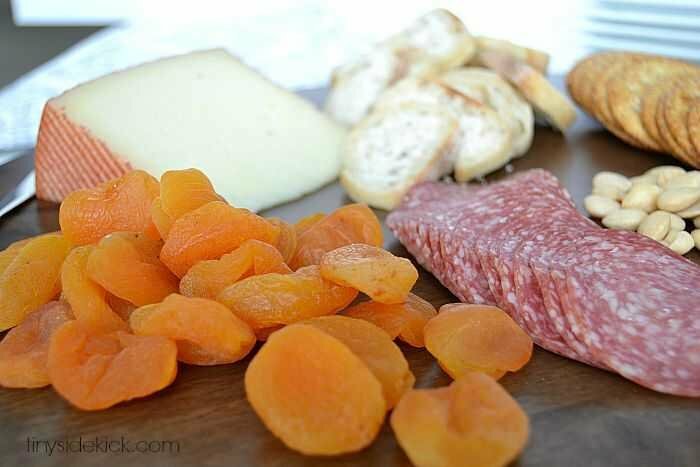 As much as I love cheese, it wasn’t until I started adding some fun extras to my cheese platter that I decided I could have a cheese plate as a meal. You’ll want to add variety here too. So provide something crunchy, something soft, something sweet, and something salty. My go-to’s are salami, smoked ham, dried fruit, chutney, and nuts (rosemary marcona almonds from Trader Joe’s are my fave). Once you have everything simply make little piles of each on a cheese board making sure to separate your strong smelling cheeses from the others. Then it’s time to stand around with friends and see who can come up with the best combo! Yummm. I could seriously just make these every day. So delicious.